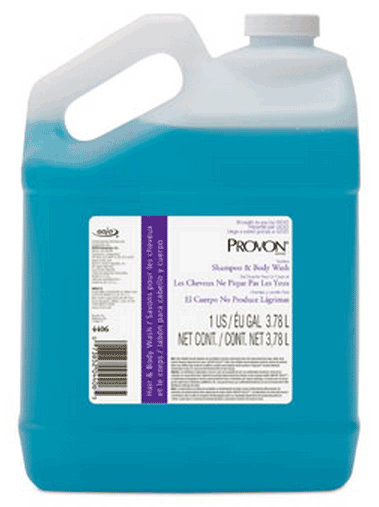 Provon® Tearless Shampoo and Body Wash by Gojo is a two-in-one cleansing product. Part of the popular Gojo line of Provon® skin products and skin cleansers, the Tearless Shampoo and Body Wash works to both clean and condition hair as well as cleanse and moisturize skin. The shampoo is simply worked into the hair and skin, yet leaves little in the way of lather -- less lather will mean less rinsing. This Gojo shampoo comes with a fresh scent that is described as a smell of spring. Provon Tearless Shampoo and Body Wash is enriched with aloe and vitamin E. The formula for Provon Tearless offers a clean, fresh fragrance. The spring fragrance is mild, pleasant and non-irritating. 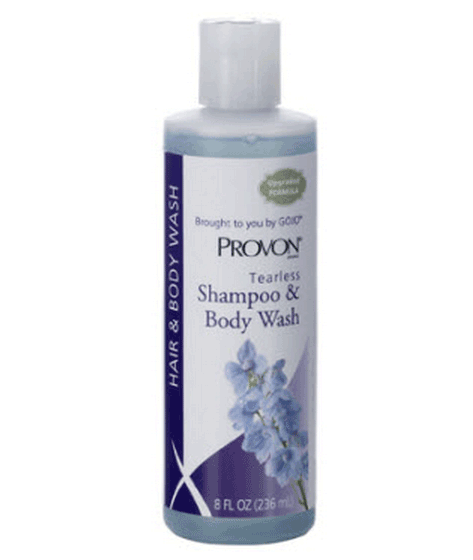 Provon Tearless is a low foaming Shampoo and Body Wash that is easy to rinse out. 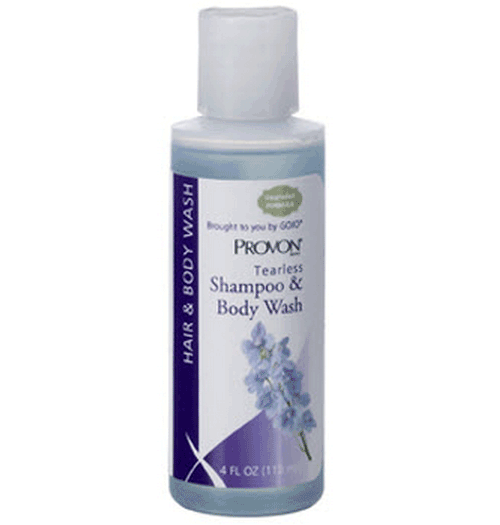 Provon Tearless Shampoo & Body Wash with aloe & Vitamin E offers a rejuvenating experience with each use. Tearless Shampoo & Body Wash is very mild and as the brand title "Tearless" implies, the formula is mild and will not irritate the eyes. Its mildness comes in the form of added conditioners and moisturizers. 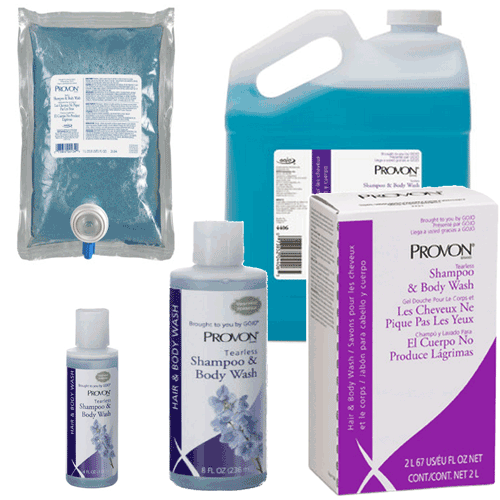 The Gallon jug will refill Provon® Tearless Shampoo and Body Wash 8 ounce bottles (item number: 4502-48) and the 4 ounce bottles (4503-48) as well. Low foam for easy rinsing. Mild formula that will not irritate eyes. Shampoo and Body Wash is used for both hair and body. 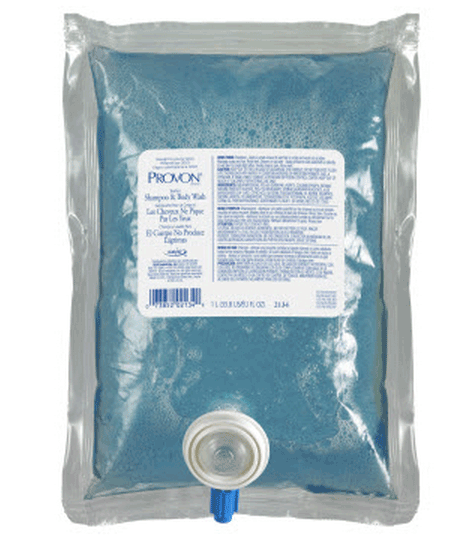 Produces very light lather yielding less rinse time. Includes a light, spring-like scent. Volume Options: 4 Ounce, 8 Ounce, 1000 mL, 2 Liter, Gallon. Container Options: Squeeze Bottle, NXT Refill, Jug. Application: Shampoo and Body Wash.
Includes Aloe and Vitamin E.
Provon Tearless Shampoo and Body Wash with Aloe & Vitamin E Product Numbers: 2234-04, 4502-48, 4503-48, 4406-04.